Your car insurance or the at fault insurance will be the payor! Los Angeles Neuro Kinesiologist, Dr. R’Kione Britton is committed to helping you acheive the best life possible. Your physical body is the tool with which you’re able to leave your mark on this world. It’s of utmost importance that you’re able to function at your highest abilities. Dr. Britton is an expert in the human body. His noninvasive, evidence-based care works well for neuropathy, sciatica, slipped disc, herniated disc, chronic pain, sports injury, and rehabilitation. We’ll work to make sure your body and brain are communicating fully. If we can help you to feel better and improve communications between your body’s systems, you’ll be able to do what you want with your life. 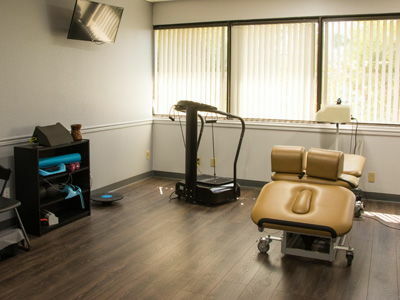 West LA Neuro-Kinesiology: Nerve, Disc, and Neuropathy practices by blending each of these disciplines into a full body approach to making you whole again. Many of our patients come to us after failed surgical procedures. Some come to avoid surgery or to find alternatives to their drug-based protocols that have not produced the solution to their pain or dysfunctions that have plagued them. And, finally, many people are seeking ways to improve their day to day performance and health goals. The comprehensive services offered will be combined to form a unique care plan that works to get you out of pain and back to doing the things you love. We’re ready to start with a comprehensive evaluation and create a personalized plan for you. 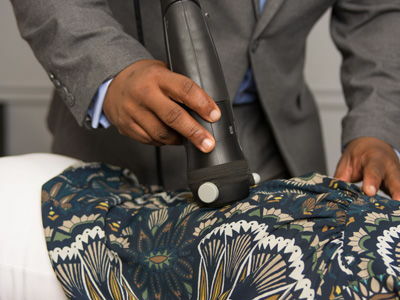 "This doctor has amazing hands, I busted my shoulders years ago, and now they feel great. He is a very gifted healer." "Dr. Britton is incredibly knowledgeable, understands the cause of the problems. His aim is to get the patient to what their best could be and not what they just want to hear." "Dr. Britton is a rare passionate bright light in the world of healthcare. You would be well-served to be in his presence, learn from him, and seek care from him for your spine and nervous system!" Dr. Britton knew he had to become a chiropractor to try and change the way that people thought about healthcare. During his undergraduate education at Toledo, he was named a National Achievement Scholar and was awarded a scholarship. Aida is a California certified massage therapist and health educator, and a graduate with honors from the National Holistic Institute in North Hollywood, California. In the past few years, Aida has practiced massage at a busy chiropractic office. Throughout her career she has realized that her knowledge of human anatomy and physiology helps her identify her clients’ needs easily and provide them with the most suitable therapy. Melanie is a Licensed Massage Therapist, born and raised in San Diego. She also has specialty certifications in Craniosacral Therapy, Reiki, and Aromatherapy. 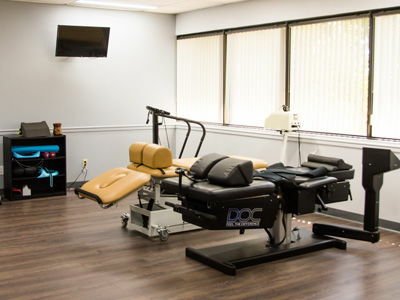 Using all of these skills, she is able to treat a variety of patients and help them achieve great results at West LA Neuro-Kinesiology: Nerve, Disc, and Neuropathy.